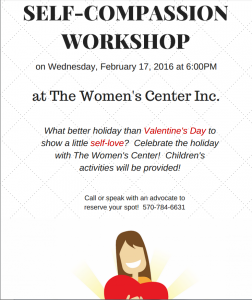 Self-Compassion Workshop – The Women's Center, Inc. 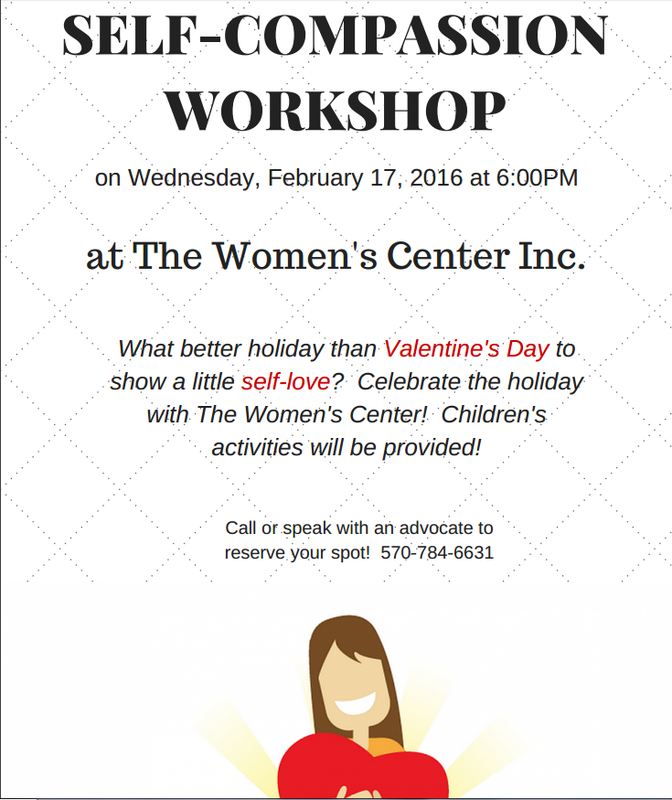 Celebrate Valentine’s Day by loving yourself! Call (570)-784-6631 to reserve your spot!